Founded in 2010 by Fair Director Lorenzo Rudolf, Art Stage Singapore is Asia’s premier international contemporary art fair and it is the definitive rendezvous point for collectors, artists, art enthusiasts, academics, museum and gallery professionals. The fair features approximately 130 leading galleries, 75% of which will be from the Asia Pacific region with the remaining 25% comprising of International names. Art Stage is committed in its support of Singapore’s desire to position itself as a cultural hub for the Asia Pacific region, as shown through initiatives such as the Singapore Platform. 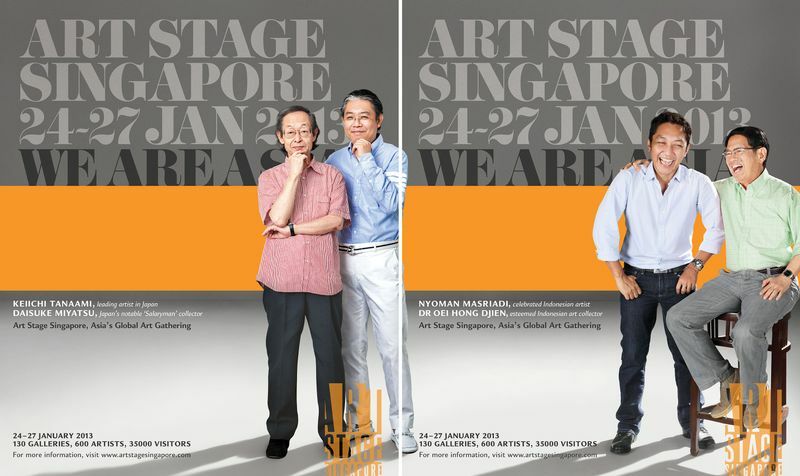 In 2013 for the fair's third edition, Art Stage Singapore will be held on 24 - 27 January at the Marina Bay Sands Convention and Exhibition Centre. There will be exciting new initiatives and returning key show components for the upcoming iteration including the Galleries and Project Stage sections, the Singapore Platform, the Indonesian Pavilion, a country platform for Australia and New Zealand, engaging talks with special guest speakers at the fair grounds and a new digital version of the fair, Art Stage +.